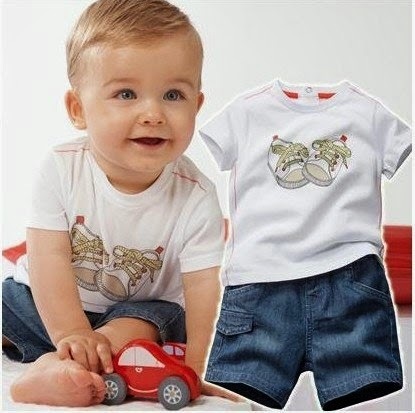 • Dress Up Your Baby Accordingly: Have your baby wear cool cotton clothes and keep him or her away from synthetic clothing since this kind of clothing keeps heat. Furthermore, synthetic clothing may cause your child to develop skin rashes. If you plan to have your baby wear long-sleeved clothing to protect him or her from insect bites, make sure that the clothing is lightly-woven. Also have your baby wear a hat with a wide rim which will fit your baby’s head to keep the sun’s rays from his or her head. And keep away from hats which have elastic support since these can possibly affect blood flow circulation in his or her head. • Keep Your Baby Away From The Sun: Make sure that you and your baby are indoors around ten in the morning till five in the afternoon, especially during lunchtime because these are the times that the sun is high in the sky. If you plan to take him or her for a nice walk, do it early in the morning. You also would not want to walk out with your baby during the evening because the humidity in the evening might cause him or her to catch colds. • Have Your Baby Drink Lots Of Water: Babies can easily get dehydrated during the summer season so make it a point to let them drink every now and then. Milk shakes, fresh fruit juices and even coconut water. Not only are these liquids refreshing but they are healthy for the baby too. On the other hand, if your baby is under six months old and you are breastfeeding her or him enough, then you need not give the baby that much water. Summer season can be a long discomforting season for babies but it should not always be the case. • Dress up Your Baby: In addition to dressing up your baby with something comfortable for him or her, it would make it more adorable if you include a blanket to complement his or her outfit. A bible along with the baby is also a good so that when the priest or the minister blesses the child, the baby would also have a blessed item when he or she grows up. • Budget: This is also one of the most important things that you should consider when preparing for your newly-born child’s baptism. This should also be based on how many guests you are planning to invite and those who are sure to attend. The place where the child will be baptized should also be considered when it comes to your budget. It’s nice to get the kid baptized in a popular church but then again, if it would drain you of funds and you have not even planned about the reception then maybe the local church would do. • Confirm The Date With The People: This is important so that the people who should come would be able to schedule their leaves and or their weekends properly. Would it be unfortunate if one of the baby’s supposed godfathers is unable to attend due to a pre-planned vacation somewhere? The same goes with the time of the baptism as well as the reception. • Reception: When it comes to receptions, there are a couple of things that you have to consider such as if you want it to be held in a banquet hall or restaurant. In case you decide to hold it at home, you have to decide if you would go for something indoors or outdoors. You also have to make adjustments depending on the weather. You also have to confirm the time with your chosen caterer as well as the date when you will need their services. Preparing for your baby’s baptism can be a tough one but it is something that can be an exciting experience on its own as well as to your baby. Every parent knows how difficult it is to make babies sleep especially when their baby has an unusual sleeping pattern. You would hear stories from parents getting stressed over staying up in the middle of the night because for some reason, the baby is wide-awake at that time. The thing is that a baby’s sleeping pattern is affected by daylight and night time depending on their age. Normally, an adult’s sleeping and waking pattern is dictated by their internal biological clock while the other is dictated by their need to sleep during the evening. This system is actually called the “Circadian Rhythm”. This is actually good for the babies since they need to be awake in some portion of the day and evening so that they can properly be taken care of. Keep The Room Dark: Make sure that this is the lighting condition where your baby is sleeping. If you need to change his or her diapers or feed him or her during this time, make sure that the light you are using is not that bright. Let Your Baby Befriend the Sun: This is important. Not only does sunlight provide Vitamins A, which helps strengthen the bones of a baby, it also helps him or her with his or her sleeping habit. Follow A Fixed Sleeping Routine: one of the best ways for you to work with your baby’s sleeping habits is to design a sleeping routine that you will consistently follow. This includes conditioning the baby to sleep during the evening such as keeping the noise down and using lesser lights. Though it can be very challenging for a parent to deal with a baby’s erratic sleeping pattern, it helps if you mentally condition yourself in facing these challenges. 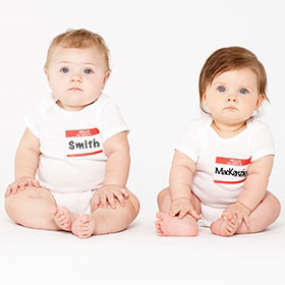 Take A Break: Sometimes it is easier to think of a name when the baby’s already there. There are times that a name will just suddenly cross your mind and it will feel right. Besides, cluttering your mind with suggestions from other people is sometimes unhealthy and will just make you more confused. Also, it is good to wait for the gender of the child to be announced before thinking of a baby’s name. Select Only A Few People When It Comes To Suggestions: There is nothing wrong with the people around you giving out random baby names as suggestions however, most of the time, these suggestions often comes from their desire of giving a name to their own baby, especially for those who are yet to have babies. The most that you could do is to thank them politely but refer to those people who know you best as well as those whom you trust. Take Initiative: If you are the soon-to-be mom and you and your husband are in state where each of you wants a different name for your child, you can reason out that since you are the one giving birth to the child, then your idea will take priority. Provided that he at least finds the name you have in mind acceptable to him. Picking a name for your soon-to-be child can be an effort but then again, what is important is that you and your better half agree with one another. Entertaining areas are a must have feature of any home. Whether you’re building your new home or considering a renovation project, you should highly consider the implementation of a usable entertainment area. Not only are entertainment areas fantastic for creating more space for your family, but they can also greatly increase the resale value of your property. Both indoor and outdoor entertainment areas are popular amongst many families, with the final decision often being influenced by the climate in which you live, the needs of your family and your desired design. Read on to discover some invaluable tips about creating and entertainment area for your family. Deciding between an indoor or outdoor entertaining area will greatly depend upon the climate and neighbourhood in which you live. People, whose houses are situated in warmer climates, tend to enjoy making the most out of long days and cool breezes, with alfresco entertaining. If you live in a colder climate, however, it may be wiser to utilise an indoor living area as a space for your new family entertainment area. If you have young children or pets, you should always consider your entertainment area design carefully. While a raised deck with glass features may be what you’re envisioning, it may not be suitable for the entire family. Timber or tiled flooring is often a popular choice amongst families, as they both provide a stylish yet easy to maintain surface. Spills can easily be removed from these types of floor coverings, making cleaning a breeze. Many families also choose to make the most of their outdoor space, as it allows for extra room and easier maintenance, particularly when children and pets are involved. If you are considering an alfresco entertaining area, the installation of fans is a must in warmer climates. Your entire family will be able to enjoy summer days together, in the comfort of a well-ventilated area. One of the greatest benefits of having a designated entertainment area, within your home, is that you are able to contain your mess to one particular area. While entertaining is a great deal of fun, not many of us enjoys the clean-up! Alfresco areas are a fantastic option for manageability, particularly if you’re installing an outdoor kitchen, with a sink and tap. This convenient feature allows you to clean the mess where it lays, rather than having to cart everything back and forth, from your interior kitchen. When creating an entertainment area that the entire family can enjoy, you should always ensure that the area is usable. While the designs in the latest architecture and interior design magazines may look stunning, they are often impractical. Create an area where your family can make happy memories together and you’ll always love your chosen design. Richard is one of the leading Home Builders in Brisbane, Australia. He recommends checking out some of the display homes Brisbane has to offer, to get some ideas when looking to create the ultimate entertainment area for your family. For Hook-On Chairs: Make sure that the baby’s feet is far enough for it to reach table supports, benches or chairs for him not to be able to accidentally kick or dislodge the chair from the table or from the object. Refrain from using hook-on chairs on unstable tables or tables having only one pedestal or support. Fasten the Straps: Make sure that you have a chair with a reliable strap. This means that it should be easy to remove and fastens tight enough to keep the baby from getting off the chair. Check the Security of the Chair: Pull the chair backwards to check if it is already clamped securely to the table before you put your baby in it. This will prevent the possibility of the baby falling off in those situations where he or she moves too much. Do Not Leave Your Child Unattended: Crimes involving kidnapped kids and babies are on the rise and some are often related to parent’s negligence. Always make sure that you do not leave your child alone in whatever you do unless someone whom you can trust is watching over them. If you need to leave your baby for a while, at least ask the security to watch over your child as you attend to whatever you need to attend to. When it comes to your kid, you can never be too sure when it comes to his or her safety. Always make an effort to keep your child safe from any possible problem. If you have the option of leaving your child to someone whom you can trust like a relative, then that would be preferable unless you are moving somewhere else and you need to bring your baby along. Selecting a toy appropriately in relation to his or her learning capacity. Reading the instructions noted on the toy. This will tell you if the toy is appropriate for your baby’s age. This will also give you an idea how it works and if it is appropriate for your baby. Making sure that the toy is safe for your baby. Since they are too young to think for themselves, it is important that you keep them away from objects which can be hazardous to their health. 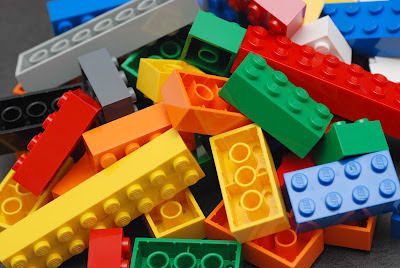 A Lego block may be good toy to develop your child’s mental capacity; it is not advisable to be given to a child who is around two to three years old since they might end up swallowing it. Choosing toys which the baby can interact with easily. A toy is useless if your baby is not enjoying playing with it because of its complexity. If you are unsure if a toy you have your eyes on will be good for your baby, it would be best to hold off for the meantime. Besides, you can always buy it at a later date when your baby is old enough to appreciate the toy.